They are just knitting their hearts out! 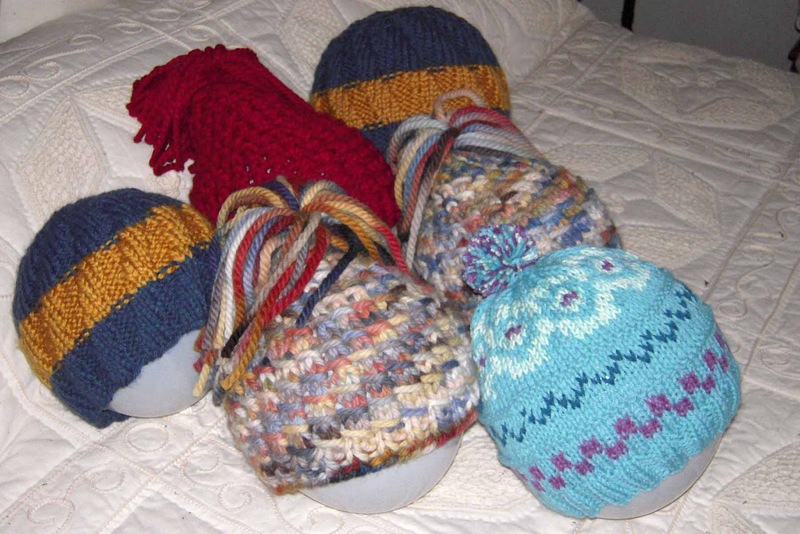 Here are pics of more handknit projects that were lovingly knit this season by my knitting students for their family and friends. Stripes, texture patterns, pom-poms and colorwork. 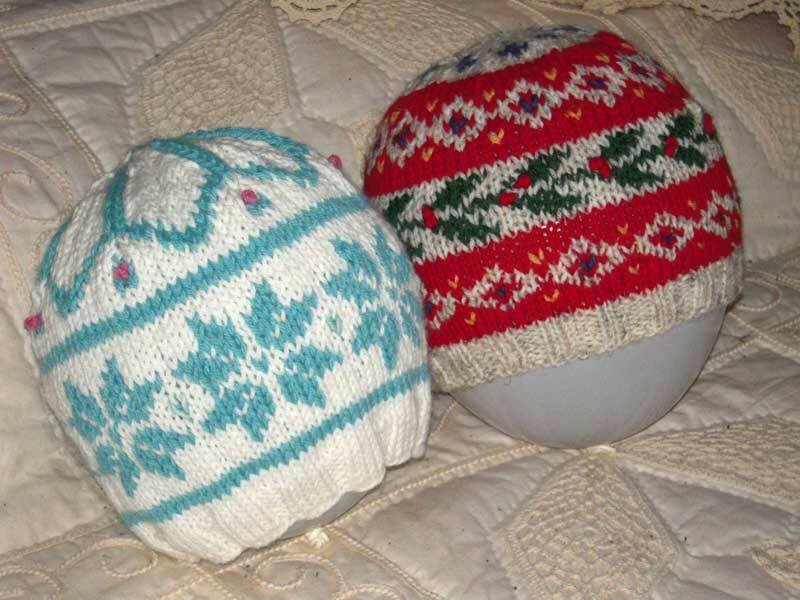 Check out the colorwork on these knitted caps. Using a red/white/green color scheme, Jane modified a basic "leaf" motif to create holly leaves. Then she added French knots for the holly berries. How festive! These hats make you want to take to the slopes.